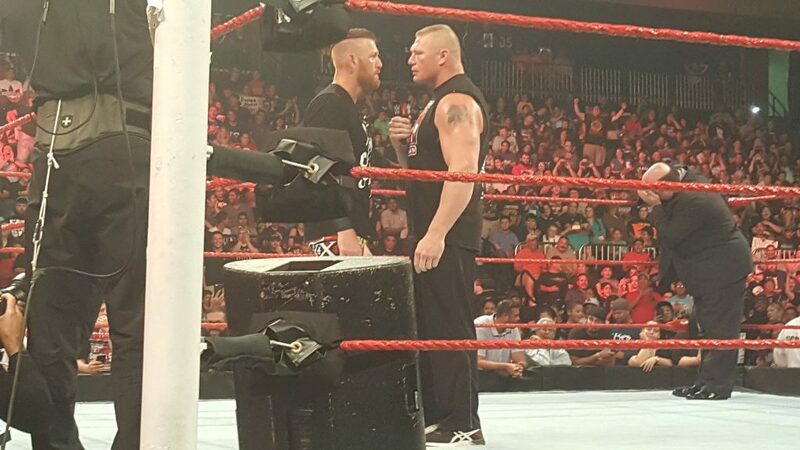 What Really Happened at the RAW leading up to ‘Summerslam 2016’? Corpus Christi, Texas. Latin for the Body of Christ. What a weird place for the first sighting of The Demon King on WWE TV. And yet, there he was. Ancient script was scrawled over his ribs, abs and legs, all leading to a gaping maw in the center of his chest, tongue lashing about, waiting to devour any and all of his opponents whole. The Body of Christ, indeed. But here I am getting ahead of myself. 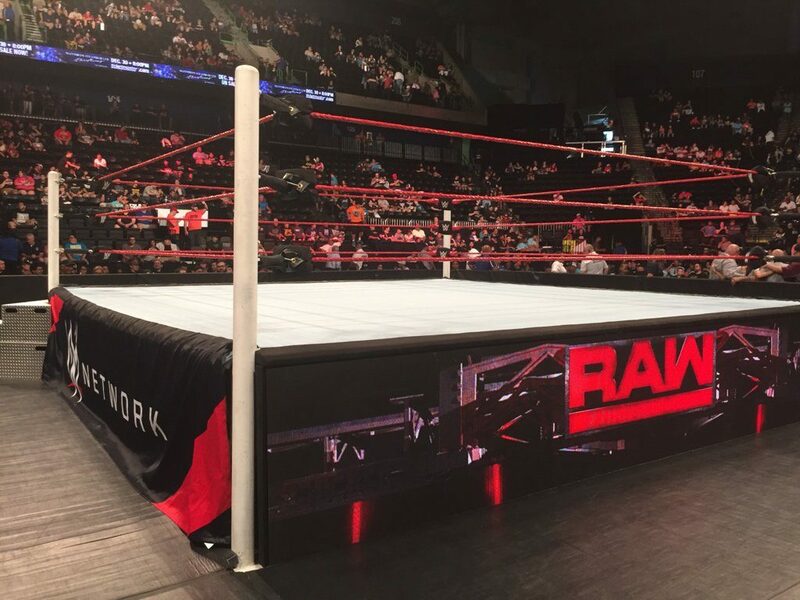 RAW emanated from the coastal bend of Texas this week and I was there, in the front row, to bear witness to it. One thing to take away from the live experience in Corpus Christi is that it’s a very traditional crowd. Roman Reigns, a character that was legitimately booed by 100,000 people in Dallas at Wrestlemania (despite being booked as the #1 good guy) was met with a fairly warm reception here. People generally booed the bad guys and cheered the good guys and that’s really not a terrible thing. The show opened with The Machka Man Rusev in the ring with his wife, Lana, and they have a beef to squash with Roman Reigns for messing up their wedding party last week (WWE Babyfaces are people that crash other peoples parties and make fun of them for being in love, they’re a real hoot). Anyway, Roman comes out and insults them some more, even though Rusev is 100% in the right and a match is made for later tonight, Roman vs. Rusev, even though this match is already scheduled to happen at the PPV 6 days away. OK? 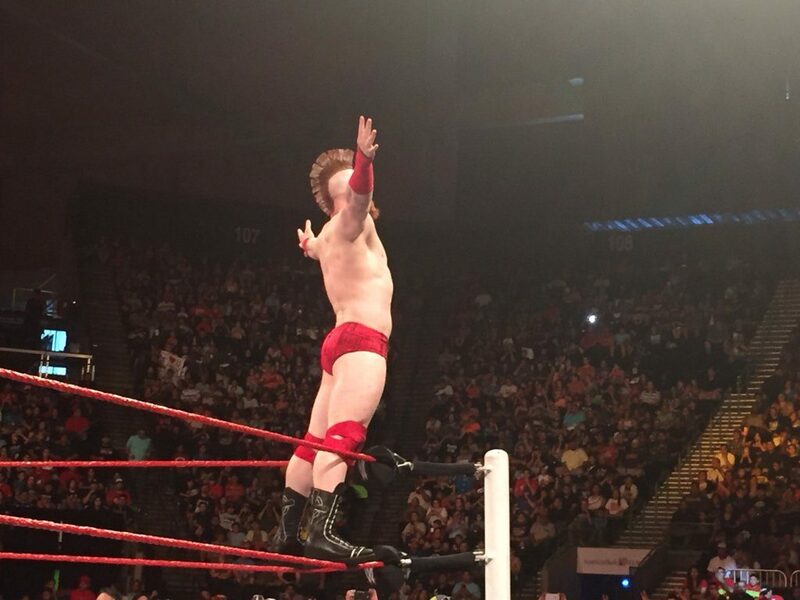 We were then treated to 20 minutes of Sheamus vs. Sami Zayn, which was used to set up… Cesaro Vs. Sheamus? In a Best of 7 series? Even though Cesaro and Sheamus fought twice in the last three weeks? And Cesaro won both times? I don’t know. This RAW didn’t make a lot of sense. 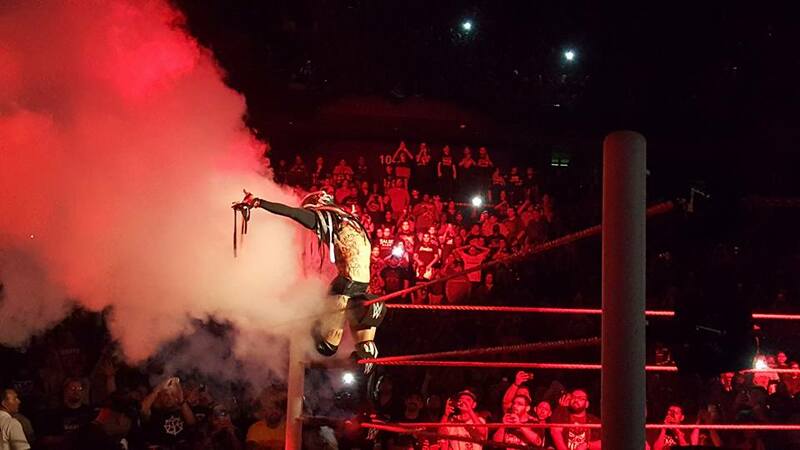 Speaking of that, it was VERY strange to see the Demon Finn Balor given away on free TV less than a week before SummerSlam, but MAN am I glad I was there to see it. Also something I was glad to see live: BROCK LESNAR. The man is just a next level athlete and presence and he cannot be messed with, even with his recent bust for doping at his UFC fight. He’s just the most legitimate badass WWE has on their roster and speaking of things I was even GLADDER to see live: HEATH SLATER! I loved, loved, loved this segment and I hope it gets Heath over in a big way soon. My audience was treated to The New Day (twice! ), The Club, Sasha Banks, Charlotte, The Shining Stars, Chris Jericho, Seth Rollins, Kevin Owens, Big Cass and Enzo, Neville (who did an INSANE corkscrew leap to the outside of the ring on Jinder Mahal) and The Golden Truth, who, as I pointed out to my friend who made the trip with me, are a combined age of NINETY. And somehow playing Pokemon Go? Like I said, the WWE Universe doesn’t make a lot of sense. 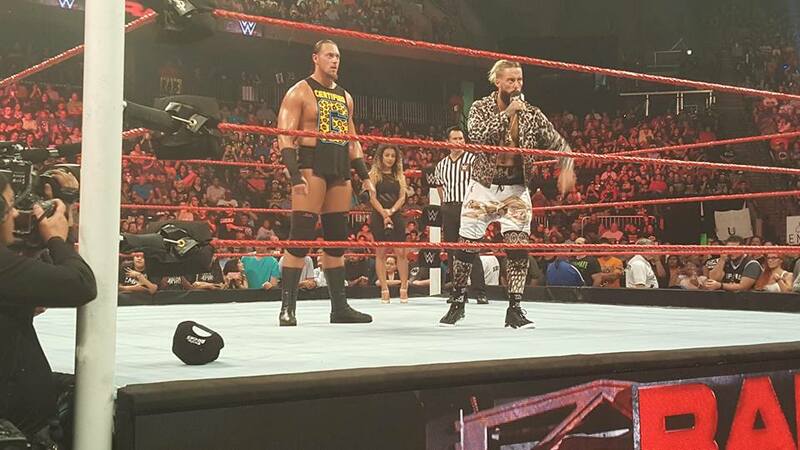 Before RAW, WWE taped an episode of Superstars, featuring Curtis Axel vs. Sin Cara and Bo Dallas vs. Jack Swagger. The latter was an excellent undercard bout with lots of good near-falls. I enjoyed it quite a bit. After the Rusev/Roman main event (Roman won, natch), the audience ERUPTED when John Cena’s music hit. Even though he’s a Smackdown Star, they booked a tag team main event of Cena and WWE World Heavyweight Champion Dean Ambrose vs. Seth Rollins and Chris Jericho. Before I move on, I must tell everyone reading that 2016 Chris Jericho is a GIFT, and should be treasured for eternity. The match was quick and perfunctoty, with the faces hitting their finishing moves at the same time and pinning the bad guys. It makes the children happy, you know? And that’s the point. 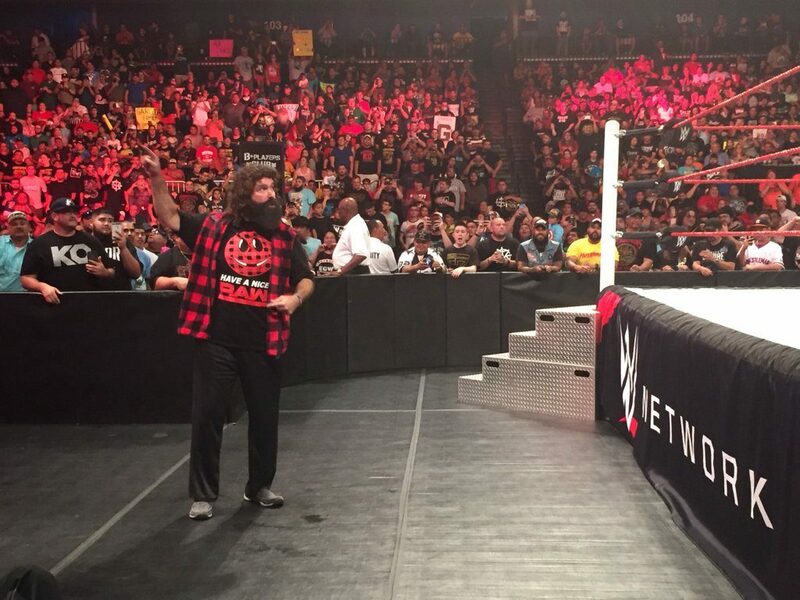 WWE wants to make sure those kids stay fans for the rest of their lives. I can tell you that I was very happy. Storylines non-withstanding (they’re weird. They’re always going to BE weird), WWE put on an excellent show. Security even did an excellent job of taking out the weirdo crazy fan that ran into the ring to confront Seth Rollins. Note to insane people: Don’t get in the ring. You’re just gonna get choked out by huge security dudes. I hope to have several more WWE Live experiences this year. I’m a huge fan of wrestling, and, even though I may not always agree with HOW they put on the show, NOBODY can put on a SHOW like WWE. 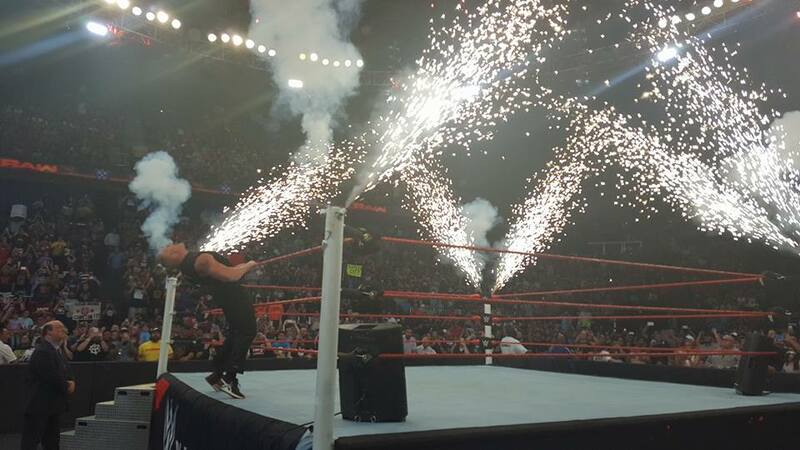 WWE: Raw 7/13/15 Recap!! Changes, They Are a Coming!! 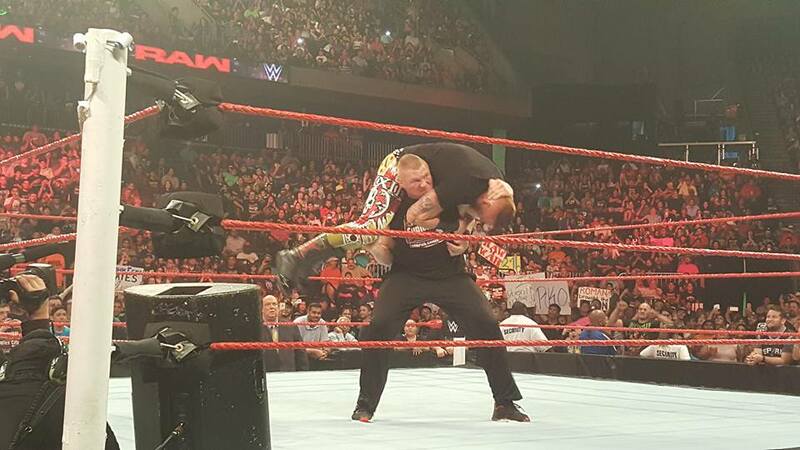 WWE: Raw 10/26/15 Recap!! Hell In A Cell Fall Out!! This entry was posted on Thursday, August 18th, 2016 at 4:06 pm	and is filed under Events, News, Television. You can follow any responses to this entry through the RSS 2.0 feed. You can skip to the end and leave a response. Pinging is currently not allowed. « ‘Central Intelligence’ Makes It’s Way To Home Video In September!!! Yeah, we were pretty wild up in Erie, Penn. Yeah, there was this one time, we stayed up way past midnight.